At Chewy, we realize how meaningful your four-legged furry friend is to you, therefore we only carry the best in dog supplies, including dog food, dog treats and dog toys. 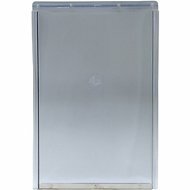 If you've been searching for clear dog crates, pens & gates, look no further. 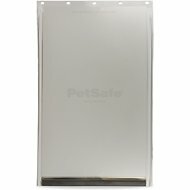 Among the wide selection we carry, one option to try is PetSafe Wall Entry Aluminum Pet Door Replacement Flap. Key benefit: quick and easy do-it-yourself installation. 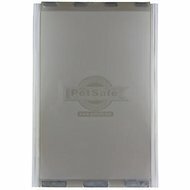 Another product is Petmate Barnhome III Door. 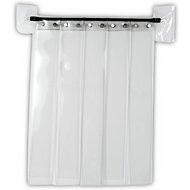 Key benefit: heavy-duty vinyl is designed to provide long-lasting protection. Whatever it is you're looking for, Chewy has got you covered. Shop our wide selection of dog supplies today and treat your four-legged friend to a box of new goodies. 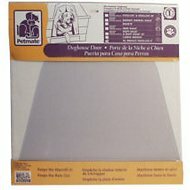 For all your pet needs including clear dog crates, pens & gates, Chewy has you covered! We're here for you.